Are schools limited by lack of information, lack of resources, or simply school district policy? Join Jay and Neil as they discuss their unique perspectives and experiences with implementing educational innovation, unite with other educators in realizing systemic obstacles, and find hidden opportunities to overcome common barriers. This conversation follows the implementation of an afterschool program whose goal is to help young women of color confront the compounded racism and sexism in their lives. Student participants will engage us in a exploration of how Black girls might be uniquely impacted by school policies and how schools can support the healthy development of Black girls. “What is the purpose of our classrooms?“ “How closely aligned is our practice with our vision?” “In what ways can the unintended consequences of our decisions contribute to systemic inequities that marginalize underperforming students?” Let’s realign our practice to our visions and create classrooms that are more effective for all of the little people in front of us! The Innovation Experience. How one school designed a program to build on students’ intellectual, emotional and adaptive capacities through a strengths approach to education. Join us for an engaging dialogue aimed at expanding the way we think about student talent development, teacher collaboration and journey development. In order to make learning truly accessible for all, we have to take stock of all the students in our classrooms. Sometimes, the quietest students, the ones who refrain from calling out and from making themselves the center of attention slip from our minds. Yet these learners are just as important to engage as any other! Truly dynamic educational experiences help students break out of the boxes society puts them in; as teachers, we can help by empowering them to tell their stories. You’ll leave this session with some ideas about how to help your students tap into and share their most powerful memories and experiences. Despite becoming an increasingly dominant aspect of modern society, the digital divide has persisted or even grown worse. Pathways into technology careers are too often only available to those already connected through positions of privilege. Come build a new model, one that is housed in rec centers, libraries, & community spaces! In our Session, The Future of Education: A student’s perspective, we will be analyzing Education as it stands in the past, present and future. Using Student experiences from the UrbEd team and other students present in the room will share their experiences with teachers to hold space for discussion about what we want Education to look like in the future. Humans have been learning for a long time, but formal education systems are only approaching the 200 year mark. Children still learn through timeless pathways: play, stories, movement, imitation, and distractions that spark curiosity. Let’s chat deep mapping of routes to timeless learning that bring us to context-driven, child-determined learning. Have you ever felt like your assessments aren’t really measuring the skills that students will need to prepare for a rapidly changing society and workforce? Come join a conversation about revamping your assessments to provide students with the opportunity to show mastery of what really matters. For educators, it is often a challenge to understand how to apply a social justice lens to classroom instruction. In this conversation, educators will use the Teaching Tolerance Social Justice Standards as the starting point to what it means to teach about justice in for K12 students in all content areas. In urban public schools committed to providing quality education to all students, school leaders and professional learning opportunities play a key role in advancing this goal. Principals, assistant principals, and school coaches support the development and implementation of social-justice oriented practices. This collaborative, interactive workshop will explore leadership and coaching practices that have contributed to the creation of a place where these practices could flourish. How do learn from each other? What makes positive, productive collaboration? How do we help students to collaborate with each other? How do we authentically engage students in the past, present, and future of their communities? How do we as adults collaborate with our students to co-create curriculum/projects/classroom environments? How do school-based adults collaborate with each other? How might we collaborate across schools? In this session, we’ll use an in-progress partnership between Science Leadership Academy Middle School in Philadelphia, PA and Shelburne Community School in Shelburne, VT. This will work as a case study and a jumping off point to think about how we teach, learn and connect within and across communities, together. Students often come to school out of compliance or expectation - and school often lacks attention to creating the conditions for intrinsic motivation to develop in learners. Join us to discuss the dynamics between compliance, engagement and motivation for learning. Internet health - what is it and why does it matter to teachers and students? Participants in this session will learn about the Internet health movement, visit Mozilla’s Internet Health Report (https://mzl.la/ihr), and reverse engineer three online projects to brainstorm ideas for teaching Internet health in the classroom. Teachers can be their own best resources. However, most of our schools and systems are not setup in a way that helps us learn and grow from each other. How might we help teachers explore ways to positively impact not just their students, but also their colleagues? Do you understand WHY you should be leading powerful race conversations in class, but remain unsure about HOW? Join Matthew Kay, the author of Not Light, But Fire, as we discuss how to push our race conversations from being stale, predictable, and ultimately forgettable. We'll discuss how to lead race conversations that actually inspire our students. Why do we have to change school and teaching? What is the why and purpose for learning? How does knowing the why impact students? In this session, participants will dive deep into authenticity, empathy, equity, self-regulation, and self-advocacy to discuss how to design meaningful, purpose-driven passion-based learning activities. Over the years, students in fifth and sixth grades at Jubilee have organized many projects involving social justice and the arts. Three groups of graduates will present their projects; one involving learning to resist gun violence from veterans of the Civil Rights Movement, another through creating a book about the history of Haiti and the third through organizing a campaign against police brutality and applying for a historical marker for the MOVE bombing. Think back to high school...what do you remember? We all know it wasn’t that math worksheet about quadratic equations or an English quiz on grammar. So, what makes certain experiences in our lives more meaningful and memorable? Join teachers from Leyden High School, a public school just outside of Chicago, IL as we share our interdisciplinary model for teaching and explain how we created a richer learning environment for our students. How can regular education/academic settings learn from the principles employed in career and technical education to maximize student engagement and learning? This conversation will focus on six key components that “tech does differently,” which all school settings may be able to leverage for their own success. Looking to change the culture of professional learning? Presenters will highlight best practices in professional development to promote growth in every teacher. This session will showcase the overall professional learning plan, as well as delve into successful professional learning experiences. 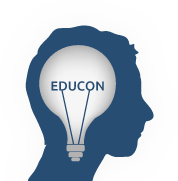 Attendees will develop a repository of innovative professional learning resources. This fall, the eleventh-grade community of room 504 read Ta-Nahesi Coates and Walt Whitman together. Then we thought about our descendants and the extended pieces of non-fiction we'd like to create for them. This session explores that process and highlights the results. Connect authentically with learners by assessing learning behaviors and cataloguing their metacognition. Join an interactive session exploring how self-awareness and personalized learning can be used as approaches to meet the challenges you face. Discover how a common vocabulary describing learning can make a measurable difference in instruction and student support! This conversation will offer experiences, short trainings, resources, and community building through meditation practices from KTD resident teacher and monastic Khenpo Karma Tenkyong and public teacher and yoga teacher Grace O'Keeffe. How do we assess students in mathematics beyond "the right answer?" Make Clubs Cool Again: How do we engage students in after school activities? In our school, students leave the minute the bell rings--it's great for our custodians but not so great for our school community. This conversation's aim is to brainstorm solutions to building better school communities. How can we engage and foster unity for students who have one foot out the door? Are you a teacher who wants to develop leadership skills? Are you a school or district leader who would like to support and develop teacher leaders? In this conversation, we'll discuss how to lead with or without official leadership roles and how to craft opportunities that support leadership development. Next Generation Presentation Skills: Rapid Prototyping and other techniques to help our students become competent. Our students are becoming adults in a world that demands that they have Next Generation skills. How do we prepare them? It doesn't matter what subject you teach. We need to get our students ready with presentation skills and collaboration skills for when students enter their careers and college. In this workshop all the teachers who have done this before got you covered. Let's go! This conversation invites educators and allies to explore the architectural concept of “The Third Teacher” – via Italy’s famed Reggio Emilia model -- as it relates to creating the conditions for the authentic, learner-centered school cultures we all hope to design and support. What responsibility do educators have to disrupt the whiteness that is pervasive in many of our schools? How do we better understand and then dismantle the way whiteness is interwoven and resides within our practices, norms, policies, and curricula? Join us for critical and challenging dialogue about whiteness in schools. In They Can’t Kill Us Until They Kill Us, Hanif Abdurraqib wrote, "The truth is, if we don't write our own stories, there is someone else waiting to do it for us." Is storytelling a necessary skill for educators? f so, how, where, when, and to whom do you tell your own teaching and learning story -- and how to you find ways to learn with and from others in your school and beyond? Students engaging in conversations around content promotes deeper learning and student ownership of learning. What does it mean to have academic conversations in the classroom? Why is it worth the effort and energy? How can you overcome the challenges and make it happen?. Come help generate answers to these questions. A panel of students and staff members will present the highlights of our middle school Advisory Model and answer your questions about the benefits and logistics of practical implementation of an Advisory Model in your school. * What does the modern school mean? * What are the vital pedagogies? * How do we create schools that powerful and healthy for all? School discipline has been constantly changing for all levels of schools. It is important to discuss the impact that has on teachers, students and administration. It is also important to not only discuss discipline in terms of shaping behavior day to day, but also its role in teaching long term skills students needs in order to navigate the world. There are many misconceptions about Islam that lead to negative experiences for Muslim students and teachers alike. In the current political climate, being informed about our own biases, both explicit and implicit, and combating our misconceptions is part of the responsibility of being an educator. Students of color constantly suffer at the hands of ignorant educators and Muslim students have been bullied by their peers and their teachers. In this workshop, we will address the basics of Islam that are necessary for one to understand that it is not a monolith. We will also address types of implicit and explicit discrimination and racism against Muslims using specific examples and ways to address these situations. Lastly, we would like to describe and discuss how we can create safe and inclusive spaces in schools for Muslim students and educators alike. Real World Learning can take many forms, from internships to field trips, and a lot in between. How do you infuse the 'Real' into these experiences? They key is to keep things student-centered! This workshop examines the practices of the Real World Learning program at el Centro de Estudiantes High School in the heart of Kensington, and invites participants to dream up their own #rwlgoals. Ideally, a keynote connecting global citizenship, widespread technology use, and digital storytelling as learning. PLUS a recording session—through the whole conference—interviewing two dozen local students to add to a library that already includes Bulgaria, Sierra Leone, England, Slovenia, and the world. How might we transform what we have come to know as MakerSpaces into spaces that meet the social, emotional, physical and vocational needs of student, faculty and community as well? We'll discuss the various looks of makerspaces in our schools and action steps for amplifying their purpose. How might we help equip our students to navigate an increasingly polarized social media landscape and engage in conversations rooted in empathy and our shared humanity? This session, led by SLA teachers, focuses on how we process and develop our work and growth as educators. The work we do in schools is both professional and personal -- how do we look back on that work to create meaningful pathways forward? Flipping faculty meetings, introducing new communication and productivity tools for collaboration, and creating teams where the leadership is distributed, not hierarchical, are all ways of moving towards innovative teaching and learning practices. What have you done at your school that's been successful in creating change or scaling innovation? How might we use design thinking in the classroom? Join us for a session that will explore various ways that students and teachers might use the habits and mindsets of design thinking in order to improve student learning. In this session, mentors from the Philly Slam League will help teachers use spoken word poetry to show their students the power of their voices. Aligning our principles with our practice takes more than persistence. Finding the moves that matter emerges when we think systemically, support a culture of thinking, and hone responsive teaching practices. Bring a challenge you wish you could solve. We'll work together to consider how major levers and second-order thinking can open up unseen pathways forward. When implicit biases are not guarded against, how we assess can unintentionally promote racial inequity. Through transparent assessment systems and culturally relevant pedagogy, we can better prepare our students to be independent learners. In this session, participants will be guided through a series of interactions around assessment and bias. What does it mean to lead an open classroom? What dimensions and practices of open leadership best complement open-source content like OER? Drawing on the principles, practices, and skills of Mozilla’s Open Leadership Framework (https://mzl.la/olf), participants will consider how to make their classrooms democratic and equitable spaces for all learners. Are a school leader’s technology knowledge and significant school improvement directly proportional? School leaders from urban, suburban, charter and public networks discuss the connection among technology, innovation, instructional leadership, student growth and school leaders familiarity with technology as the technology director and school leadership roles evolve as technology integration increases. Ser bilingüe vale por dos, pero un bilingual person is not two monolinguals in one body. What languages do you and your students bring to the classroom? How can you empower your students (and yourself) to connect and grow in a multilingual world? All language backgrounds welcome - monolingual, bilingual, and beyond! When do we stop the syllabus and start talking? What happens when a world event occurs and we don't know how to deal in our classrooms? Many educators don't want to be wrong and end up being silent on the social justice issues that matter to both them and their students, let's talk about the way we can put the syllabus down and engage in timely conversations.